We realize that Paul Ryan is not having a good day/week/month, but we're still going to take him to task for a grammatical goof. 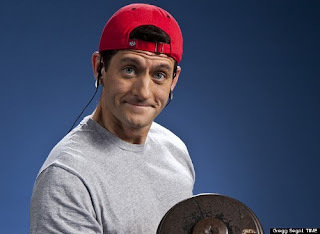 Ryan, who is making a continuous fool of himself over Donald Trump, has acknowledged today that some of his desperate fellow Republicans are scheming out a way not to nominate Trump in Cleveland next month, and that as convention chairman he would not interfere. And then Ryan said of Trump: "I get that this is a very strange situation. He’s a very unique nominee." No, Paul Ryan! You cannot modify an absolute adjective like "unique." We cats HISS. I'm so glad somebody still gives a damn about correct grammar.